Researchers: Grace A. Nield and Peter J. Clarke, Newcastle University; Valentina R. Barletta, Andrea Bordoni, Matt A. King, University of Denmark; Pippa I. Whitehouse, Durham University, Eugene Domack, Hamilton College; Ted A. Scambos, University of Colorado; Etienne Berthier, Universite de Toulouse. 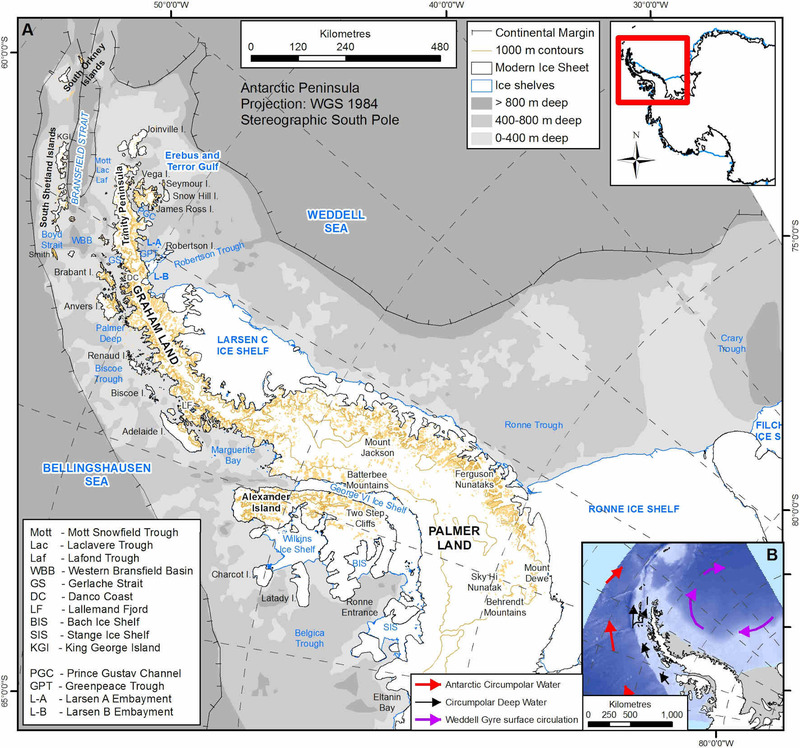 The North Antarctic Peninsula (NAP) has lost significant ice over decades and the amount and rate of land rebound as the ice is removed can be used to decipher the structure of the crust and upper mantle. Using vertical motion of the land recorded at the Palmer GPS site since 1995, augmented with other GPS data and a simple four-layer model yields a thicker crust and a more fluid upper mantle than expected. Such structure helps to explain why the rate of land rebound does not correlate in a linear way with rate of ice loss. 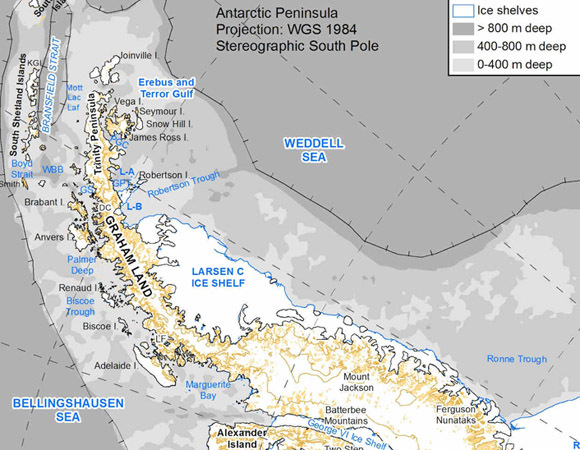 The NAP extends into warmer climes as a thin strand of the continent, marked by a mountain ridge and a thick ice sheet. The NAP has lost extensive ice over the past 50 years as major ice shelves collapse into the sea. As the ice melts, the land rebounds. 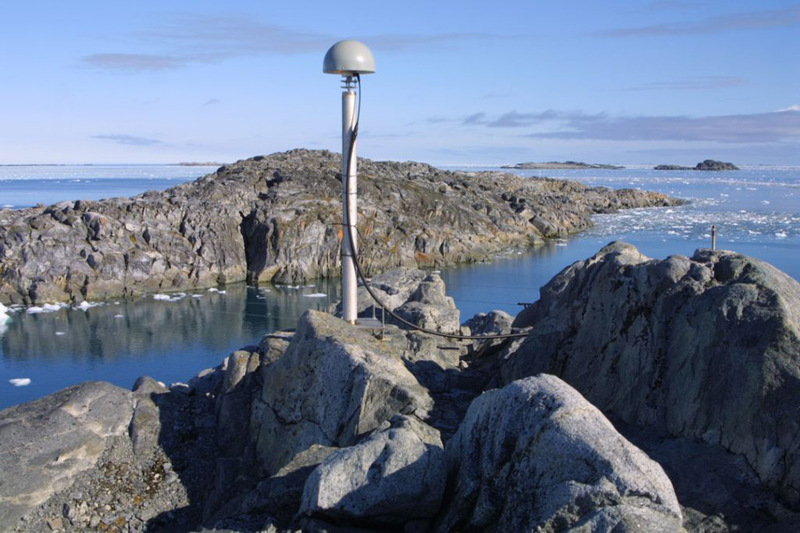 In 1995, a GPS system was installed at Palmer station and has been continuously recording the changes in the horizontal and vertical motion of the land. Palmer is part of the International GNSS Service (IGS) used to define the International Terrestrial Reference Frame. 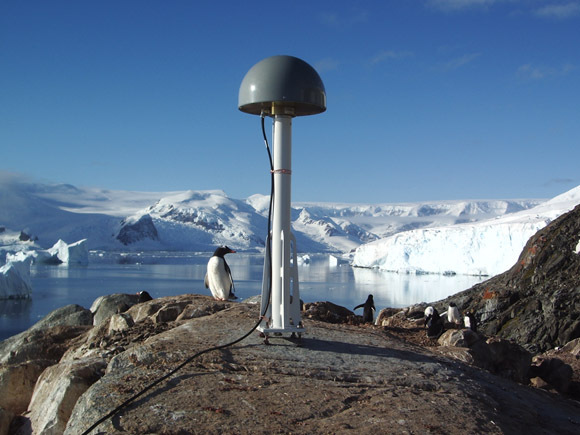 In 2009-2010, six additional GPS stations were installed along the peninsula as a part of the Larsen Ice Shelf System, Antarctica (LARISSA). The six stations augment the longer data record from Palmer. UNAVCO operates and maintains the stations and archives all of the data. 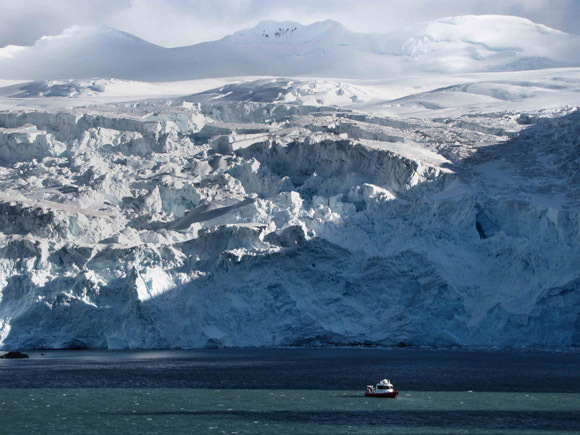 The uplift of the land observed at Palmer station does not fit with the amount of ice loss since 2002. Only about half of the rise can be attributed to the observed ice loss. The authors suspect the structure of the crust and upper mantle may explain the large discrepancies. Detailed modeling that considers ocean tides, topography, elastic to viscoelastic rebound, different crustal thickness, different upper mantle viscosity and other data (e.g. the six GPS stations and satellite observations) yields a few possible models that fit with the data. Among the possible models of the crust and upper mantle that fit the GPS data, the authors favor a viscoelastic model with a more fluid upper mantle (i.e., a lower viscosity than previously assumed) and a lithospheric thickness between 100 to 140 kilometers (i.e., a thicker crust and uppermost mantle than previously assumed). It is clear from the GPS data that the uplift of the land does not correlate with the rate of ice loss in a linear fashion (i.e. an elastic response). The response is dependent on a more fluid upper mantle and perhaps complex structure in the crust and upper mantle.